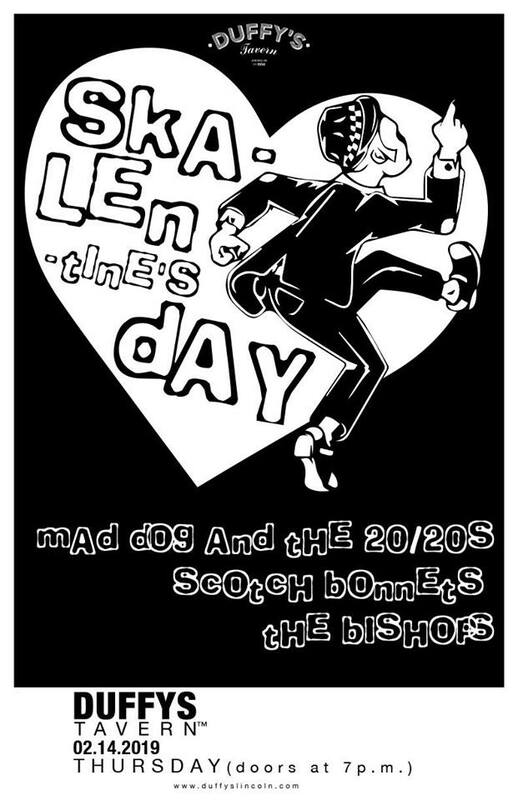 Ska-lentine’s Day w/ Mad Dog and the 20/20s, The Bishops + more! Doors at 8 p.m. | Music at 9 p.m. The Bishops – Omaha’s award-winning, ska/rocksteady/reggae veterans. Bringing the rump-shaking jams for the better part of twenty years. The Scotch Bonnets – Punky reggae rockers from Baltimore whose infectious energy keeps the party jumping all night, the crew is fearlessly lead by singer-guitarist Kristin Forbes aka Lady Hatchet.